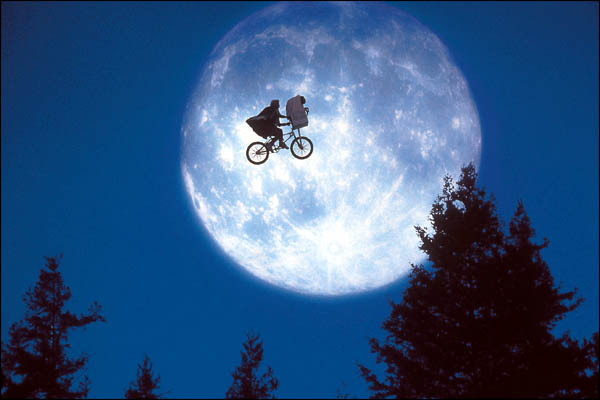 This summer, the Middlebury Town Hall Theater will begin a summer run of science fiction films, with E.T. : The Extraterrestrial screening tonight. According to Shelburne News, the screening is part of a fundraising drive for the 2011-2012 season: “Aliens Demand: Take Me to Your Theater!”. Prior to the film will be a screening of the 1902 French short film ‘A Trip to the Moon‘ with live accompaniment by Aaron Morse. Films to follow this summer are ‘It Came from Outer Space‘, on August 18th, with a talk by Filmmaker Tim Joy, and with ‘Close Encounters of the Third Kind‘ on the big screen on September 1st, with a talk by filmmaker Daniel Frye. All tickets will be $3, and will be held on their respective nights at 7pm. More information can be found at (802) 382-9222, and you can purchase tickets ahead of time. This weekend marks the start of the Green Mountain Film Festival, which is used to promote films of cultural, social and historical interest from around the state. We had a look through the films to see what caught our eyes. This program features exciting new animation in all styles, from Poland (Millhaven), Canada (The Sapporo Project, The Necktie), and Great Britain (Train of Thought), among other places. Community Partner: School of Cartoon Studies. Approximately 70 minutes. The full list of movies can be found here: What do you find interesting? Are you going?